At Society Hill Dance we always have fun and interesting dance events going on. Monthly theme parties to specialty classes and nights out on the town, here’s the skinny on our upcoming events. 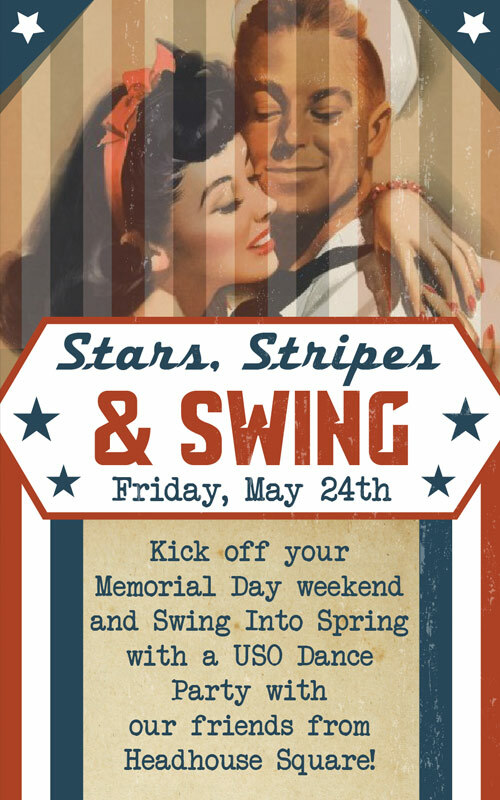 Join us this Memorial Day Weekend for a USO themed swing dance party at Headhouse Square. There will be a live band, food trucks, dancing & performances from 4pm til 8pm on Friday, May 24. SHDA Night Out at the Barnes! For questions or to schedule a lesson, contact our studio at 215-574-3574 or send us an email.